Fantastic dark trippy psych electronic LP.Sometimes reminds me of Ruth White's records.Excellent by all means.Little is known of this guy (finding info on him online is next to impossible), but one thing for sure was when he quit the music business around 1976, he sold his big modular Moog to none other than Steve Roach, then a former racecar driver, but later a big name in the New Age/electronic genre (yes, the same guy who teamed up with Australian didgeridoo player David Hudson in the 1990s, although of course he had no albums out in '76). 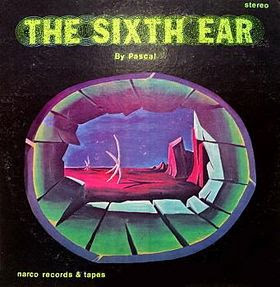 Around the time he gave up on music, he did provide some sci-fi artwork to an Iowa-based pomp rock band called Locust (who released the album Playgue in 1976). Also I found out he provided some percussion on the Rolling Stones' Goats Head Soup album, which I find extremely surprising, because the Stones were so much more mainstream than anything Raicevic was recording. This is an awesome record! I'm looking forward to hearing more from him. Someone (FM Shades, maybe) posted his Head album a while back. Nik sold his synthesizers to an up and coming artist by the name of Steve Roach when he decided to exit the music scene. Nik Raicevic discography: ALL HARD TO FIND, SPECIALLY 1971 AND 1973 (VERY HARD). Just listened to this, again. So flippin' odd...I love it. Much thanks, again for the share. Any chance of getting this and beyond the end posted somewhere other than sharebee? I have lots of issues with sharebee. Thanks - great stuff in here!